You can define your own types (or classes to be precise) for any data structure by extending existing types or create entirely new classes. 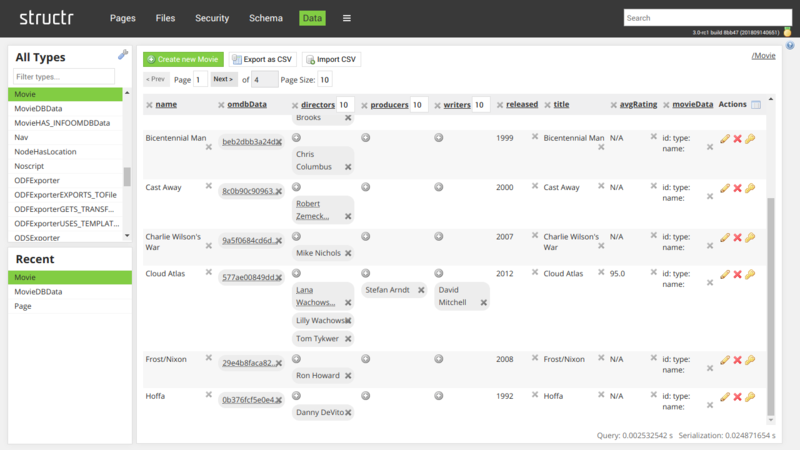 For each existing or new/custom data type, you can add attributes and define the possible relations to other types by just connecting them to existing or your own types in the visual schema editor. 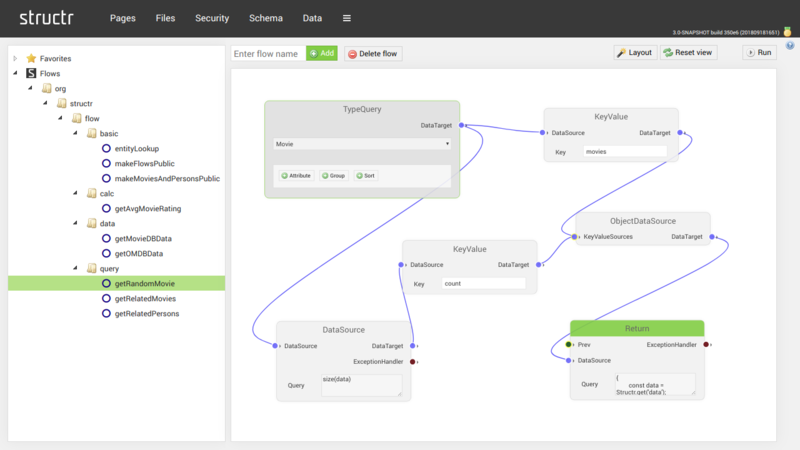 Use the Flow Editor to create logic to be executed by the Flow Engine. 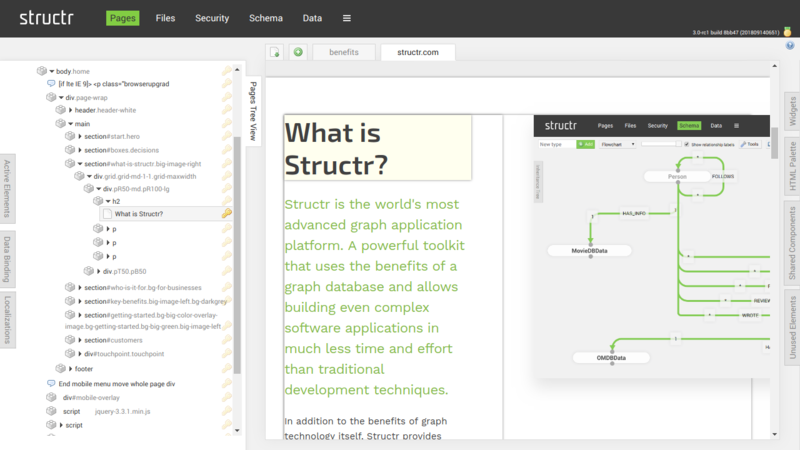 In the Structr world, a Flow is a graph of data sources, filters, loops, decision trees and nodes of many other types. 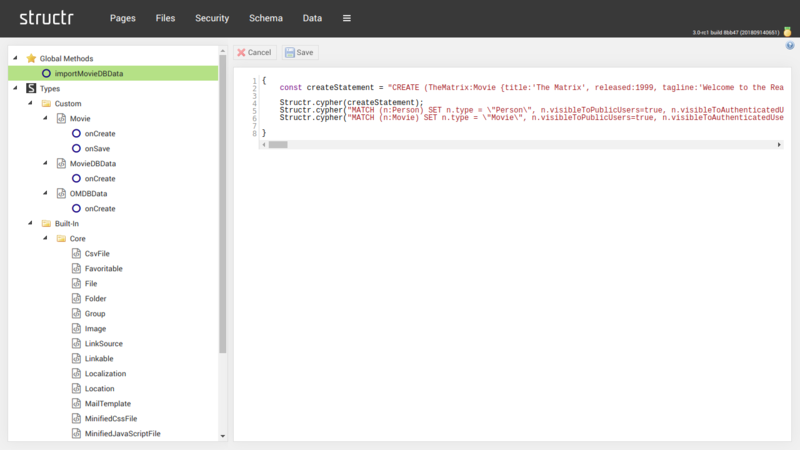 Any flow can be used as a data source or active element anywhere else in the Structr platform. 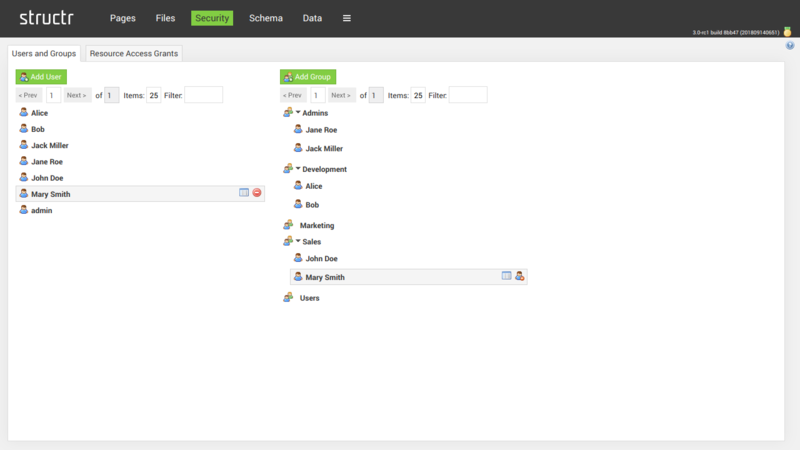 Flows can also be nested and combined to libraries. 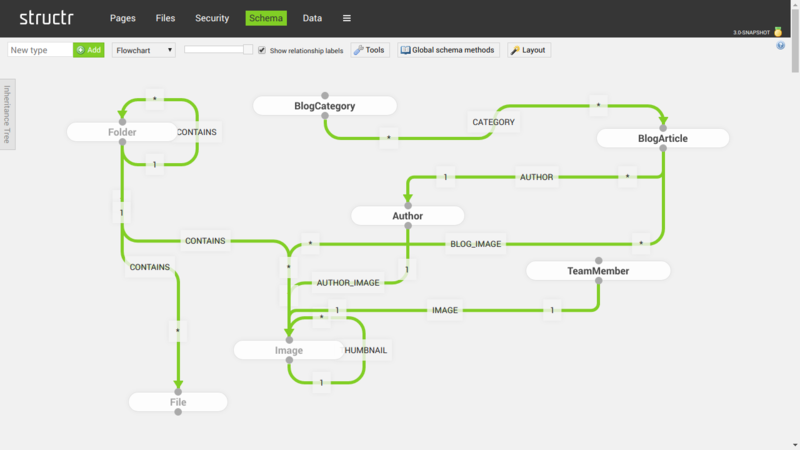 Manage your files and digital assets with the power of the graph. The integrated file and asset management system allows you to store and manage digital documents and file data with arbitrary metadata. 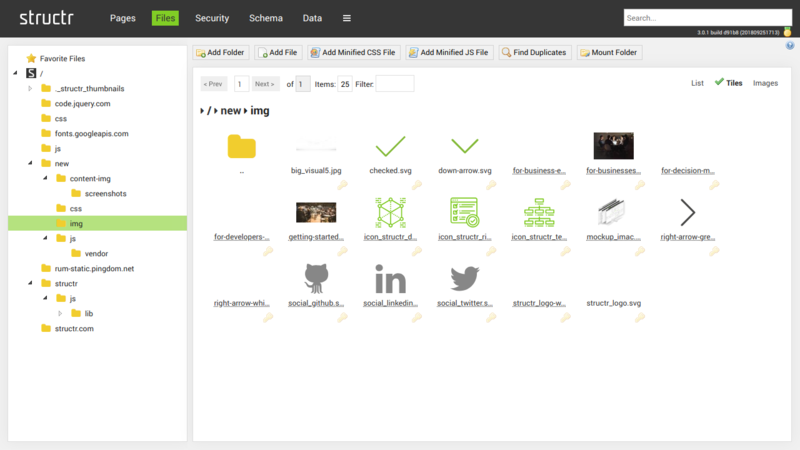 Access and efficiently manage files, folders and images with custom metadata and access via SCP and FTP. 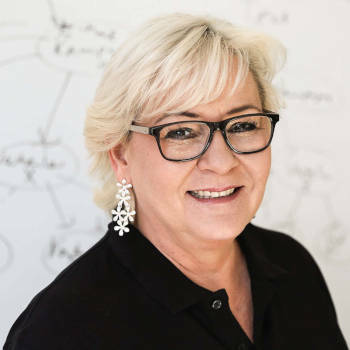 Structr has an integrated, three-level security concept that secures any object and any backend service from unauthorized access. Admins are able to grant permissions to groups and invididual users. 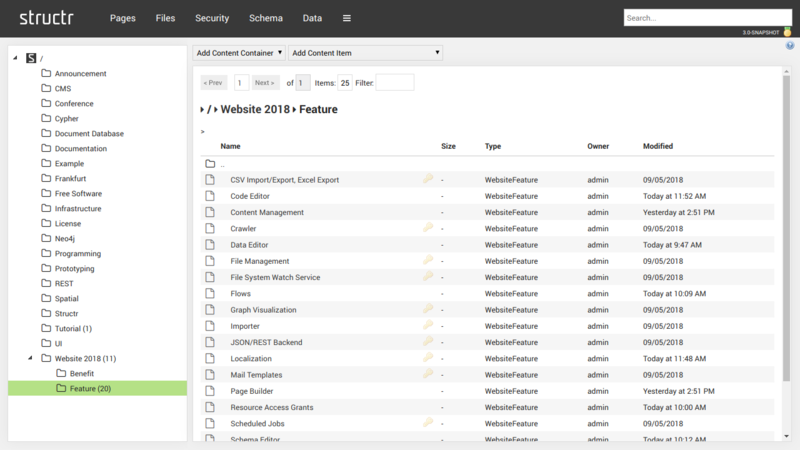 Write and manage content articles and define content categories to control which articles appear where. 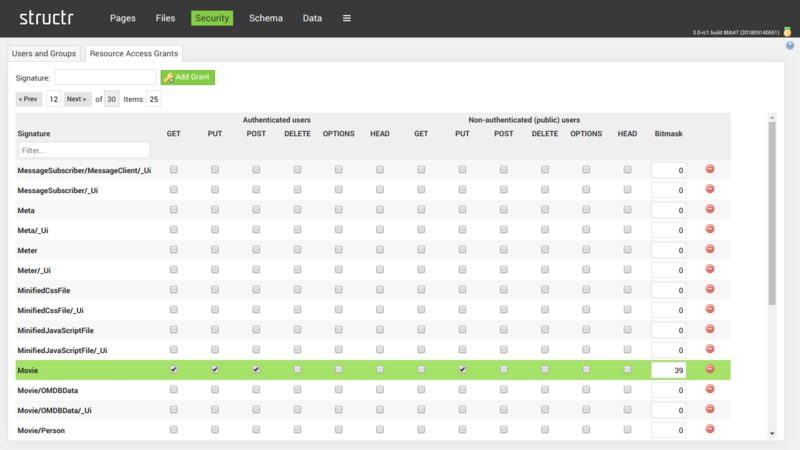 You can define custom access permissions for GET, PUT, POST, DELETE, OPTIONS, HEAD for each resource path. Access permissions can be defined for anonymous/public and authenticated/logged-in users. 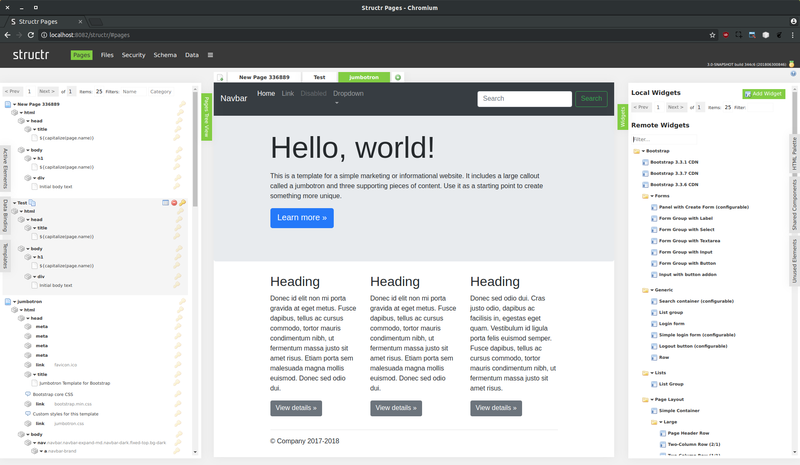 Instead of editing methods in the schema editor, you can now browse through global and type methods and edit any code in an editor.